A Series of Articles by Michael R Weekes, President, Whataboutquality.com. When we think of business performance our minds might drift toward manufacturing, given our WNT legacy of making things. It’s easier to see whether a manufacturer is running a lean operation, by how much inventory they have built up on the floor or whether there is a flow in the process. It’s very tangible to see how many errors or defects they have in the process by looking at the end of the line and measuring how much rework or scrap they have. But we do a lot more than simply make things inBuffalo. If you took all the people that work in education, healthcare, non-profit and manufacturing you’d have a much more comprehensive picture of our region. Don’t get me wrong. We make some of the best stuff in the world! We talk a lot about the need to improve the quality of healthcare, but few have a systematic methodology by which that could happen, in spite of success stories here, and in other parts of the US where progress in being made. Our public school system is struggling as much as any I can think of and hopes are high that a new leader will help shift performance in the right direction. When it comes to non-profit organizations, however, it’s not as clear how performance is defines or measured. I’m here to tell you that business performance in the non-profit arena is at least as worthy of a focus as in tht other of the three domains mentioned. Best of all, there are a few teams here, who represent that success story I mentioned earlier. Unlike their profit-driven counterparts, non-profits don’t have shareholders, but they do have donors, benefactors, subscribers and other stakeholders. You may not think of them as making products and services. On the contrary they produce shows, performances, programs, and all sorts of things that represent value. How do they deliver value? How can that be measured? How does a non-profit know it is achieving its mission or vision if they don’t manufacture, provide care or instruct? Non-profits deliver something their manufacturing and healthcare counterparts only dream they could deliver: THEY INSPIRE, EDUCATE AND ENLIGHTEN! Non-profits connect with and showcase our community, retaining people, jobs and the economy and attracting new people. They partner with other organizations like educational institutions, churches and other non-profits. The BPO has a terrificMissionand Vision. Like most non-profits in WNY they exist to make the quality of life here better, to connect us with great music and each other. Unlike most non-profits, however, the BPO takes that mission and vision and examines what their strengths and weaknesses are and constructs not only short-term but long term (ten year mind you) objectives. The BPO has three key strategic themes and a three measurable objective for each theme. They know where they are going and track progress, making adjustments as required. They know they don’t have unlimited resources so they prioritize on the events and activities they know they can execute, deploying their limited resources wisely, to assure effective results – the delight of the visitor and the willingness to become a subscriber. The BPO has a set of metrics they use to examine not only effective but how efficient they are. Non-profits who do this continually deliver more and more value to their community and their benefactors, making them prime candidates fro new funding from the regional agencies, corporations and individuals who choose wisely before supporting a non-profit. If it doesn’t achieve, in an ever-improving way, growing earned income, contributions and endowments, the BPO is not satisfied with itself. The team of people who guide and manage the BPO are among the best in their class. Whether it’s Don Boswell, Daniel Hart or JoAnn Falletta, or any of those who govern the process, there are the best of values, good judgment and competency in their respective role. They all know if they do not collaborate, listen to each other and even compromise, they will not be as successful. One thing that struck me about the team at the BPO is that they all care about performing their duties with the same dedication that their musicians have to perfection. It might not be attainable, but the BPO team is never satisfied looking for world-class performance. The leaders understand the connection between game plan, key business process, measures, customer and employee focus and results. The customers, like you and I who decide how to spend our free time and hard-earned money have literally hundreds of choices here in WNY when it comes to non-profits. That’s a good thing, but it also means that non-profits have a very competitive market here. The BPO makes every attempt to listen to the voice of the customer and the aspects of the experience they have when they invest in a BPO event, making sure critical characteristics of the performance are responded to. An example of this might be the wide range of options one has, from classical to pop to rock! This relatively small business team seems to offer a huge menu to choose from in some magical way. At the heart of the BPO is the musician. The musician is a very special, very unique artist. They likely have more than twenty years of experience, love developing their craft and are never done learning, all throughout their life. They expect the same, high-caliber of performance from the folks in the office and on the leadership team, matching their standards and providing them the venues to deliver as much of their talent as possible. Everybody wins in this internal competition: the performer, the administrator and us, the audience. Finally, it all comes down to results in business, even for non-profits. The BPO takes a look regularly at how results corresponded to not only mission and strategy but what aspects of the key business processes they manage contributed to results and where are the opportunities to improve. If a performance failed to achieve the attendance required or the feedback clearly did not communicate a delighted audience, they find another solution, they adapt, while maintaining that awareness of customer, our critical little preferences and needs. Best of all, the BPO is reaping the long-term benefits of continuous improvement, with more and more performances at the national level, representing quality of the world-class level. Non-profits like the BPO (www.bpo.org) know exactly how well they are achieving and the impact it is having our quality of life here on the Niagara Frontier. Like the BPO, Non-profits need to seek and achieve business performance excellence as much as a manufacturer, healthcare provider or educator. They don’t get the reward of ticket sales, subscriptions or funding if they fail. Let’s take a lesson from the Buffalo Philharmonic Orchestra. In a town where a discouraging word can be heard perhaps a little too often, let’s recognize this world-class organization, and participate in the joyous value they deliver. Visit Kleinhans Music Hall and re-acquaint yourself with inspiration and enlightenment through music. Mike Weekes is President of Whataboutquality. 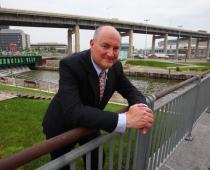 Visit Mike at the new Lafayette Hotel or call him at (716) 517 7957. If you have a question about how this business performance excellence works, email Mike at michaellovesbuffalo@gmail.com. Join the conversation at http://www.whataboutquality.com. It’s a true and complete evaluation of a wonderful organization. Touching up on all the factors that make it so valuable. True, we all should take a lesson from BPO, striving for perfection and, perhaps, achieving excellence in a process.